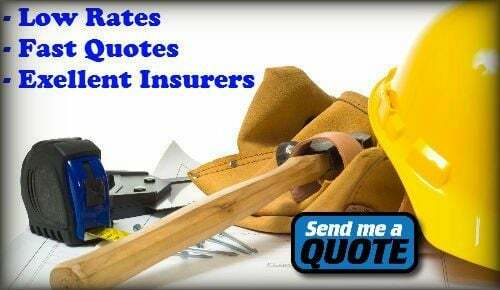 Surety Bond Ontario | Fast Quotes - 30+ Years of Service! Are you a construction contractor within Canada? The country of Canada is overflowing with opportunities, but you will first be required to meet a few simple qualifications, before you can begin plying your trade. One of the most misunderstood steps of working in the construction industry is the surety bond. The good news is that applying for a surety bond is truly uncomplicated and relatively easy. Thanks to technological improvements, construction contractors can now apply for the bonds they need directly over the Internet. Of course, this isn’t the only option. Below, you will be provided with an overview of applying and ways to do so. Every new contractor will need to get educated on surety bonds and know how to avoid surety disputes. Believe it or not, there is a long list of these bonds available, with each having its own purpose. For instance, the bid bond is only utilized in cases, where the contractor is placing a bid on specific development project. This bond is often combined with a performance bond, but you would not know this unless you are educated. Sometimes a general contractor will also include a payment bond into the mix, because it will protect the subcontractors involved in the project. While not of these apply to the construction industry many of them do, so you should still become familiar with all of them. Just remember that only a few bonds will be necessities for Canadian construction contractors. Familiarize yourself with these and you’ll be absolutely fine. When applying for a surety bond, you should know that every company will do things a little different, but a lot of these companies’ practices and requirements are very similar. For instance, before any company issues you a bond you are going to be required to undergo a rigorous and thorough prequalification process. During this process a Surety company in Ontario, Canada will check out your past and present finical obligations, employment history, your reputation, and much more. This process can be very thorough and take quite a bit of time. If you want to speed up the process, you can have all of this information prepared before you even begin applying for a bond. The first thing you are going to need is, an organization chart of your key employees. This chart will need to include what roles they are required to perform within the company. You are also going to need the resumes of the key employees. A detailed business is also essential to the process. This business plan will outline the types of projects that you are currently taking on or plan on taking on in the future. You are also going to want to compile a detailed list of the biggest jobs that you have taken on. You will need the name and address of the business that you did the work for, the date the project was completed, and the total gross profits that you made on the job. After you’ve collected the required information, you will want to go ahead and begin looking for surety companies in your respective area to satisfy your surety requirements. Some individuals will decide to stick with an insurance company, since many also issue surety bonds. This is not recommended. Since these companies are generally loaded down with insurance customers, they likely dedicate very little time to their surety clients. By the way, you should really know that insurance and surety are NOT the same thing. You broker or agent can explain you the differences clearly. Well, that is if the broker actually knows what they are talking about. Choosing an agent that specializes in surety is best. You should also consider the company’s history and experience. Make sure they have a decent amount of experience in the field and their history should be unblemished. Do not be afraid to pick up the phone and contact the surety company directly. This will give you more insight into the company’s knowledge, while also providing you with personal awareness of the company’s treatment of their clients. Make sure the agent is capable of answering your questions correctly including giving you a ballpark cost for surety bonding. If your rate is a bit high, ask how the broker for tips on how you can save on bonding. If you feel uncomfortable, seek out a different company. How Much Should You Expect To Pay For Construction Surety Bonds? If you happen to work as a construction contractor in the country of Canada, there will most certainly come a time when you’re forced to delve into surety bonds. 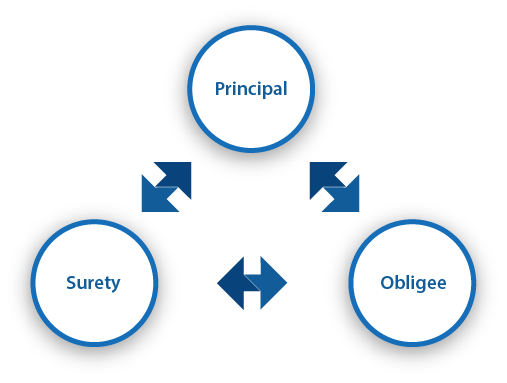 Those that are new to the industry may not be entirely familiar with surety and this can make it difficult for them to know precisely how to move forward. And even those that are veterans will agree that surety bonds remain a somewhat complex subject. This is definitely the case when it comes to the costs of surety bonds. All contractors will want to know precisely how much they’ll be required to pay, but figuring out the total is surprisingly easier said than done. You’ll find out why this is the case below. First and foremost, you should realize that nothing in set in stone, when it comes to the rates associated with surety bonds. Each and every time you invest in a surety bond, you should expect to pay a different amount. The price will most certainly differ based on the situation, the surety company, your project, and your company. While you may be bidding on the same project as a friend, it is highly likely that your friend will pay a different amount for their bid bond than you will. The only definite way to determine your precise cost is by obtaining a quote from your surety company of choice. When bidding on a new project, you will need to invest in a surety bond. You will be required to obtain a bid bond for a specific amount. This amount will depend on the value of the project and the total of your bid. At first, you will find that the total amount needed will be immense. The good news is that you will not need to pay the entire amount. Instead, you will work with a surety company and they’ll allow you to pay a certain percentage of the total, while they’ll cover the rest. 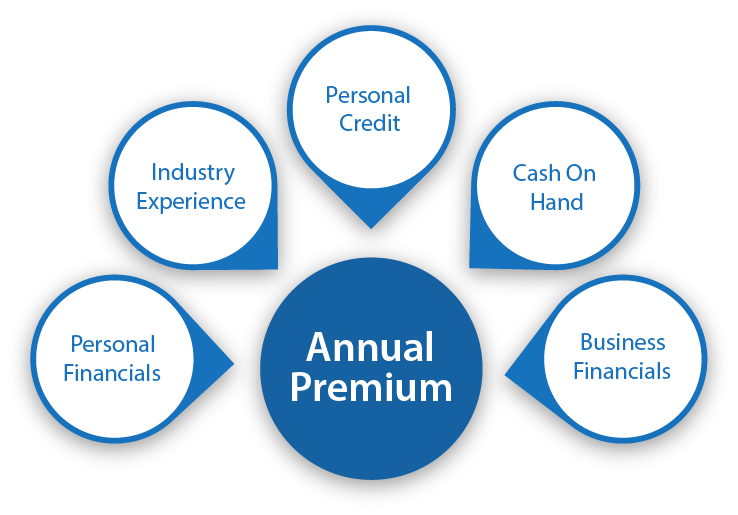 The percentage you will be required to pay will depend on several different factors. First and foremost, you should realize that all surety companies will examine your personal credit score and history to determine your fees. Having a bad credit score may even make it very difficult for you to obtain the bonds that you need to bid on an upcoming construction project. While you may be able to find surety companies that work with those with bad credit, you should expect to pay a little bit more. This is the case, because those with bad credit are often considered a higher risk than those with good credit. Your company history and the amount of experience your company has will also be vital. A longer running company with a good reputation will be deemed a lower risk than a company with very little experience. And, a company with a poor reputation will find themselves in an even worse situation. This is why it is absolutely essential to maintain an unblemished reputation. Satisfy your clients and strive to get the job done within the allotted time period. This combination will keep your surety rates low, while ensuring your company has a bright future. Also, you should realize that your company’s finances will make a world of difference. The surety company will want to know for certain that you’ll be able to repay their loss should they be required to make a surety claim payout. If you maintain low debt and keep a decent amount of cash on hand, you will be able to keep your rates to a minimum. Now, it is time to begin applying for your surety bond. There are numerous ways to achieve this goal, but only one will be right for your individualistic needs and preferences. Truly, a lot of consumers will like the idea of applying online. By visiting a surety company’s website, you will find an application form. The form will request basic information from you. This includes information about your company, the project, and your personal credit history. Generally, the form can be completed in just a few minutes. After it is completed, you will need to wait it out. The surety provider will begin assessing your situation and exactly be able to determine why you require a surety bond in place. After a thorough analysis, you will be told whether or not you qualify and you will be will provided with a quote. If you’re happy with quoted price, you can pay and receive your surety bond in the mail within a few days. Next, you will want to consider picking up the phone and calling the company directly. Those that are unfamiliar with the process and those that feel uncomfortable submitting their information online will prefer this method. Calling the company will allow you to get answers to all of your questions, while also ensuring your information does not fall into the wrong hands. When speaking directly with the agent, you will be provided with instructions for submitting your application, find exact company requirements for bonding that you will need to satisfy, and paying for your surety bond. The surety issuer will make sure your bond gets mailed to you as soon as possible. Finally, you should realize that some surety companies will be located very close to your place of residence or place of business. This can be very beneficial for you. If you prefer to chat with an agent in person, you should not hesitate to visit their office directly. Be sure to collect the necessary information before heading in. You don’t want to delay the process any longer, so take this documentation with you.